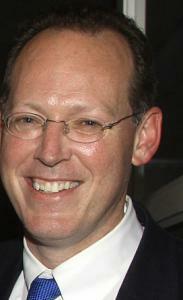 Dr. Paul Farmer has gained international acclaim for more than two decades of work. Dr. Paul Farmer, the global health crusader who has crafted lifesaving projects from Haiti to Rwanda, has told colleagues privately that he is mulling a possible appointment by the Obama administration to coordinate the United States' growing overseas health initiatives. Farmer told faculty members at Harvard Medical School in a meeting on Monday that he is in discussions with the State Department, which this month proposed a surge in funding over the next six years for global programs to fight AIDS, tuberculosis, and tropical disease and to improve children's health. It could not be confirmed yesterday the precise job for which Farmer is being considered, but one person who was present at the medical school meeting said Farmer described it as a position overseeing all foreign health aid. Farmer told the gathering that he hadn't decided whether to accept the appointment if it is formally offered but that he was seriously considering it. Laurie Garrett, a global health policy specialist at the Council on Foreign Relations, said she would be surprised if Farmer was seriously considering joining the government, in part because Partners in Health is so reliant on him. She said she also would worry that Farmer, whom she has known for years, would become mired in frustrating political battles in Washington. She said the US foreign assistance community has been demoralized by cuts during the Bush years and by the slow pace of appointments by Obama's team. However, Garrett noted that the administration has pledged a comprehensive reconsideration of foreign assistance strategy, which could allow some scope for significant impact by newly appointed players. Farmer, 49, has gained international acclaim for more than two decades of work treating the poorest villagers in the poorest countries, while also carrying out groundbreaking medical research and reshaping health policies in the Third World. When he was a Harvard medical student he cofounded Partners in Health, the Boston-based nonprofit that supports an array of global health efforts and pushes governments to provide better care. He remains active in Partners in Health and its initiatives, including the remaking of Rwanda's health system amid the twin ravages of AIDS and the aftermath of genocide, as well as building programs in other countries - Russia and Peru among them - to counter multidrug-resistant tuberculosis. In 2003, Tracy Kidder published a best-selling book, "Mountains Beyond Mountains," about Farmer. Farmer did not respond to e-mail and phone messages seeking comment. Partners in Health also declined to respond, as did Harvard Medical School's Department of Global Health and Social Medicine, where he is vice chairman. A State Department spokesman would not comment on personnel discussions in progress or on potential new positions. It could not be confirmed whether Farmer is being considered for a full-time policy position or an advisory role, or whether an appointment would be to a new job or an existing one. The top positions at the US Agency for International Development are vacant, including the administrator and deputy administrator as well as the assistant administrator in charge of global health. The top positions are presidential appointments and require Senate confirmation. There could also be health policy roles within the State Department. One person who was at the Harvard gathering where Farmer discussed the job said some colleagues suggested to Farmer that he was being given an opportunity to make a real impact on US policy, and they urged him to take up the challenge. Earlier this month, Deputy Secretary of State Jack Lew announced at a White House briefing that the Obama administration wants to spend $63 billion over the next six years to fight global diseases, including HIV/AIDS, malaria, tuberculosis, and other preventable diseases. That would build on an ambitious effort launched by the Bush administration. Lew told reporters that the effort requires a strategy review and close coordination among the many agencies involved in delivering global health assistance. He said US funding would grow by nearly half a billion dollars in the coming fiscal year, to $8.6 billion. Farmer has been a critic of healthcare policy within the United States as well as global health policies, and during the 2008 election campaign joined what he called a loose federation of "Doctors for Obama." Haiti's poverty-fueled health problems remain an obsession for Farmer, more than 25 years after he began working there. He wrote in the journal of the Institute for Policy Studies in April that Secretary of State Hillary Rodham Clinton had committed to "a down-payment on the promise of change," by pledging $50 million in aid. But, he added, "this money isn't in the bank yet."